Bright Medical P.C. (Astoria) - Book Appointment Online! 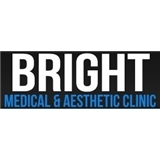 Bright Medical P.C. offers a wide range of medical and aesthetic services, from regular medical visits to botox to laser hair removal. Schedule your appointment today! Doctor was friendly and professional. Nurse was more of the same and very polite. I don't like complaining and generally consider myself to be more patient than the average person, but I don't think it is reasonable to wait for 1 hour and 15 minutes before being examined by a nurse, and 1 hour and a half before seeing the doctor. Luckily, I had nothing else to do that was time sensitive after this appointment. In the end, I'll almost certainly go back, because the service and care were good, and because, like all businesses, medical offices can get overwhelmed with longer than expected queues and business volume; I just hope this is not the standard way of doing things.